Keyword research. Everybody knows that it’s necessary. So everybody knows how to do keyword research, right? Not really. With the content quality out there, you can rest assured: You have plenty of opportunities to get to the top of Google’s rankings. But first, you need to get up to speed on the best practices. Skip right to our 5 step process! And there is more to it than you might think at first sight. Yes, you can plunge your seed keyword in the next best keyword research tool and hope for the best. But then it also makes sense to know which keywords your competitors use. And which ones you are already ranking for. Only if you have a full picture, you can make safe and sound content decisions. And put together a solid structure for your website. Otherwise, you risk betting on the wrong horse. Think about it: Your target keywords are setting a whole series of SEO actions in motion. Once you chose them, you will invest time in writing a big piece of content. That has to go online in your CMS (content management system). It needs to be SEO optimized, e.g. with the Yoast plugin. You need to build backlinks. Not to mention the design necessary to make it look pretty for a nice user experience. And then, surprise: You find out that your website was ranking for this keyword all along. Or that the keyword is too difficult to target with your domain strength. That can happen, especially when your competitors have a tight grip on its Google SERP. Do you see the issue? If you wonder how to do keyword research, you give rise to a host of new questions. Our SEOintheSUN Keyword Services cover them all. They guide you on the rocky road to identify your perfect target keywords. All our keyword services combined, give you a solid foundation to decide on your website’s target keywords and content strategy. We already published a step-by-step post of how we put together our Keyword Ranking Report. And most importantly: How you can do it yourself! Now we tell you all about how to do keyword research as it’s done in our basic and advanced service. Since the advanced version covers all basic insights, we decided to unite both in one epic do-it-yourself blog post. So here is what you will get with our Keyword Research Services – in just 2 working days! Status Quo: Keywords your domain ranks for in Google’s top 30. Competitive Environment: SEO difficulties of all keywords and of your domain. Ranking Strength: Summary of SEO difficulties of your top ranking keywords. Standardized Data: Uniform numbers and comparable results from all tools. Keyword Selection Guide: Steps to take to spot the perfect keywords for your niche. Keyword SEO Difficulty: 200 free lookups for your potential target keywords. That’s right. Now you have the end in mind. All that’s missing is to understand how to get there. For that purpose, there is one big challenge. You need to understand all the terms and tools that you’ll encounter in the world of keywords. This post includes affiliate links to tools and products we use and love. 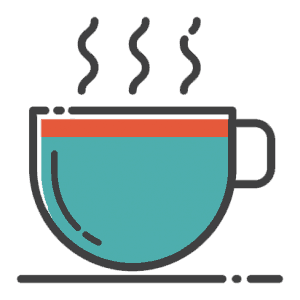 If you buy something through those links, we might get some extra coffee money (at no extra cost for you!) which helps us create more awesome posts like this! Let’s get you up to date right away. Here you find an intro to all the tools that we use. Plus you get an explanation of a few terms which you might not know yet. KWFinder is an excellent tool for finding long tail keywords from the Google API. But we don’t just use it to get keyword ideas. In one step, we also import and standardize all suggestions that we extracted from other tools. Besides many other functionalities, SEMrush can generate keyword ideas based on a seed keyword. On top, you can input your competitors’ URL to spy on their best ranking keywords. Unfortunately, SEMrush only has national databases and cannot give you globally aggregated metrics. That’s also one reason why we chose KWFinder to standardize our data. This way we can compare metrics in any geographical scope. We organize all our data in our Google Sheets template. It has filter options, formulas, and an add-on to remove duplicated keyword suggestions. Keywords are the terms that people put into a search engine to look for specific content. Optimize your site by “speaking their same language”. In essence, you need to understand what your potential visitors intend to find. And then give it to them with your content. 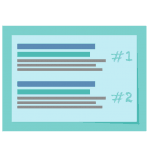 This report is all about those keyword phrases, where you already succeeded in doing so. As we said: It’s your keyword status quo! SERP stands for “Search Engine Results Page”. One usually contains ten organic search results. The goal of SEO is to rank on (top of) the first SERP of Google. KWFinder defines search volume as “Average monthly Search volume (exact match) in last 12 months”. So with it, you know how many people search this term per month. Monthly variations are averaged over one year. With that number, you can gauge how much traffic you can expect and if it’s worth your time. A keyword research process that generates new keyword suggestions based on a seed keyword. Suggestions can come from different data sources as e.g. the Google AdWords API. A keyword research process that generates suggestions based on the keywords that competitors rank for. Keywords are scraped from the SERP top 10 sites for a specific seed keyword. For our Basic Keyword Research Service, we rely solely on the traditional process. It’s perfect for small sites with low budgets. Or if you are a market leader trying to target keywords that your competitors don’t. 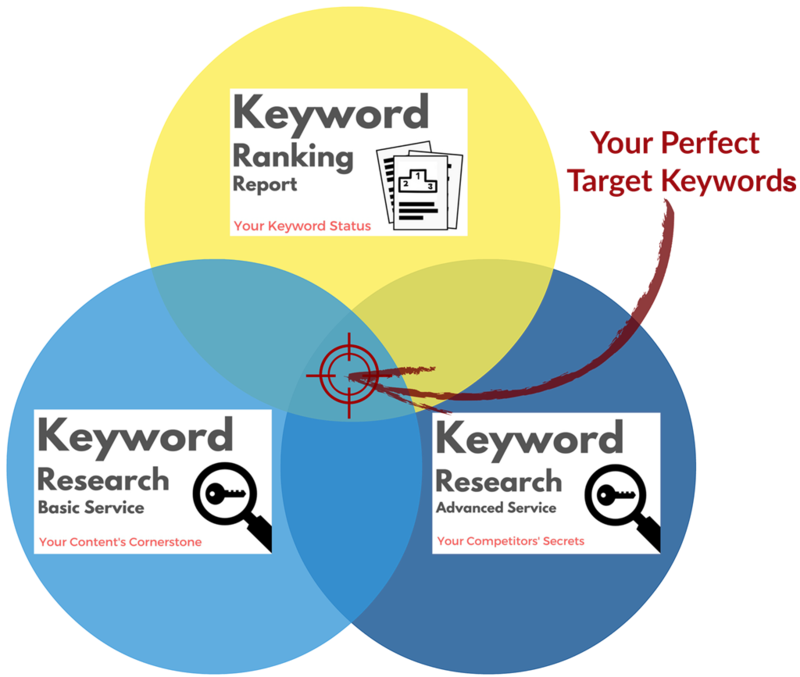 In the Advanced Keyword Research Service, we add a competitive research on top of that. Targeting those keywords is less risky as you already know that they work for your niche! It’s basically the opposite of paid advertising via Google AdWords. You optimize your content in order to rank naturally in the top SERP positions. SEO difficulty in KWFinder is a score calculated to estimate how hard it will be to rank for a certain keyword. Metrics like this can never be relied on fully but they are useful when drawing a relative comparison. For example, you can check how strong your website is by looking at your domain’s SEO difficulty. You will have a hard time targeting keywords that have a higher difficulty than this. To pull it off anyway, you’d need a very strong backlink profile with links from many sites directed at your URL. Here we refer to the SERP position that you are currently ranking for when looking at a specific keyword. Positions from 1-10: You already successfully rank on the first SERP of Google. Positions 11-30: You rank on SERP 2 & 3 of Google. These keywords can contain easy opportunities for improvement, e.g. via updating content. Some keywords express the searcher’s intention in a very specific way. For example: “learn spanish in tenerife” instead of “learn spanish”. You exactly know how to answer the user’s question and keep them on your site! Commercial: Users already intend to make a purchase. You can spot those via “buy now” terms in your keywords like: “buy”, “coupon”, “discount”, “deal”, “shipping”, “shop” or “offer”. Product: This intent is a mix of commercial and informational. Users want to make a purchase but don’t know exactly which product yet. Search for “product” terms like “review”, “best”, “top 10”, “cheap”, “affordable”, “comparison” or the name of the product/its category. Informational: Users want to get informed about a topic. Signs are “informational” terms like “how to”, “best way to”, “ways to” or “I need to”. Navigational: Users often use Google to navigate through the world wide web or to look for free things. But those keywords are unlikely to convert and irrelevant. So avoid keywords with “tire kicker” terms like “free”, “torrent”, “download”, “wiki”. Finally, high CPC metrics help to identify commercial intent! CPC stands for Cost per Click and is a metric for Google’s paid ads. It tells you how much advertisers are suggested to bid in order to get one click on their ads. The higher the amount, the more valuable and the more commercial the keyword is likely to be. CPC – Competition is an addition to the Cost per Click itself. The metric tells you about the level of competition on a scale ranging from 1 to 100. The higher, the more advertisers want to get their ads shown for this keyword and the more commercial it seems to be. Sometimes this value actually is “100” which seems to be a bug. Usually, commercial keywords with “buy now” terms should have high CPC values. Having read our glossary, you probably realized one thing: There are a lot of things to take into account. Get ready with a Google Sheets template! Get suggestions from your seed keyword! Get suggestions from your competitors! Step 1: How to get an SEO keyword research template ready? First things first. There’s nothing like a thorough preparation to ensure an efficient workflow. Wouldn’t you agree? For our service, this means getting our template in Google Sheets ready. And to install an add-on that allows you to remove duplicates. This way, we can get rid of overlaps between the outputs of our different keyword research tools. Create a separate folder on Google Drive for your keyword research. There, create a Google Sheets list to paste the exported data from the different keyword tools. At least include the blue section for the metrics of KWFinder. The metrics will be exported in this order, so keep it. As an alternative we use SEMrush. It’s a great way for us to fetch the keyword rankings of clients who don’t want to share their Search Console login credentials. Go to Domain Analytics > Organic Research > Positions. Type in your domain and select your preferred country. Export the data, for example to Google Sheets. Now, to clean all the output later on this add-on is pure gold. It allows us to combine keyword suggestions from different tools and get rid of the overlaps. This way, we summarize the best output of them all. Familiarize yourself with the add-on. In the screenshots, we show you how to remove duplicate keywords. Done? Perfect. You’re all set to get your hands dirty and dive into the keyword data. Step 2: How to get suggestions from seed keywords? This is the traditional way of how to do keyword research. You have a seed keyword, put it into a tool and get the suggestions from different reports. That works perfectly fine if you have a low budget for your business. Or if you’re a market pioneer, no matter if big or small. With this way of researching keywords, you might stumble upon ideas that your competitors have no clue about. Yet. Of course, it’s easier to simply use the keywords that already work for your competitors (see next step). Try to uncover as many keyword ideas as possible and match them with your competitors’ SERP top 10 rankings. That leaves you with those keyword pearls that have a yet untapped traffic potential. More on this later. First, we show you how to do keyword research based on a seed keyword. Having compared the best tools on the market, we decided to use KWFinder and SEMrush. Each tool has its particular strengths and weaknesses. That’s why we decided that the safest bet is to combine all their results into one consolidated list and standardized their metrics in KWFinder. Here’s how you get your keyword suggestions from each. You get three types of keyword reports from KWFinder’s Google AdWords API: a general (1) “Suggestions” report, (2) an “Autocomplete” report and a (3) “Questions” report. Access KWFinder, select the right country/language and insert your seed keyword. Filter your results with a minimum search volume of 1. Select all suggestions and export them with their metrics. Upload the export file to your Google Drive folder and open it with Google Sheets. In Google Sheets: Copy all KWFinder metrics and paste them into your ready-made template. Repeat this step for report 2 (Autocomplete) and 3 (Questions). In SEMrush you can also get three different reports based on one seed keyword. The standard ones are the (1) Phrase Match Report and the (2) Related Keywords Report. On top, there is the beta version of the so-called (3) Keyword Magic Tool. We gave it a try and it actually suggests different keyword compared to the other reports. Looks like SEMrush is currently transitioning to only offer the Keyword Magic Tool soon. Until that happens, we just use all available reports to make sure that we don’t miss out on any data. 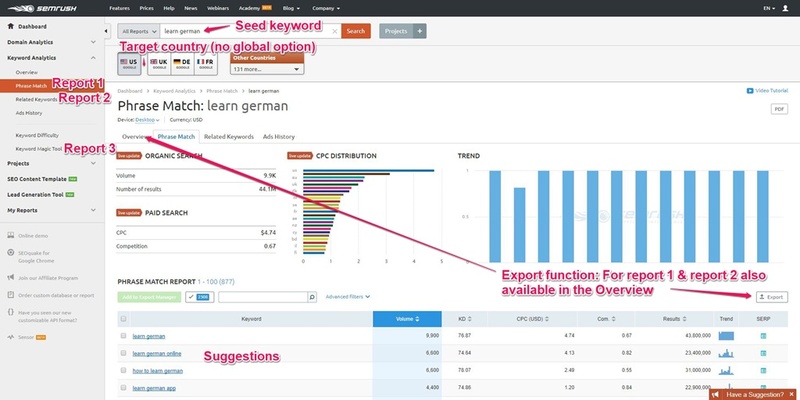 Login to SEMrush and go to Keyword Analytics > Overview. Type in your seed keyword. If necessary (i.e. not USA): Select your target country. Export “Phrase Match” report and “Related Match” report directly from the overview. Go to Keyword Analytics > Keyword Magic Tool. Type in the seed keyword and select your target country if necessary. Export the results (“All keywords”) without groups. Upload the 3 exported reports to your Google Drive folder and open them in Google Sheets. Then: Transfer ONLY the keyword suggestions to your template. Step 3: How to find keywords on a website of a competitor? Fair enough, but how do we get this list of competitive keywords? KWFinder doesn’t have the option to do competitive research yet, so we’ll do it with SEMrush. The whole process takes a little longer in SEMrush. You have to analyze every single URL of your competitors, instead of getting a one-click solution. The best way to find those is by putting your seed keyword in Google and going through the top ranking results. Go to the version of Google that corresponds to your target country for SEMrush (e.g. google.com for USA and google.de for Germany). Search for your seed keyword in Google. Skip the paid ads ranking on top (snippets/maps etc.) and go to the competition ranking in the organic SEO results. Open the first 10 unique links in a new tab each. Different URLs from the same domain are okay. But try to only include niche pages and avoid domains like wikipedia.org or tripadvisor.org. They will rank for too many irrelevant keywords. List your top 10 competing URLs. Most likely you have to include the second SERP page to find up to 10 different competitor URL. Now you know who is competing against your seed keyword. But one question remains: With which keywords are they doing so? It’s about time to spy on your competitors’ secrets! Make sure that the client’s target country is selected. For each URL: Copy and paste it into the search bar. Wait until the corresponding keywords are loaded. Upload the .csv lists to your Google Drive folder and open them in Google Sheets. Now transfer ONLY the keyword suggestions to the KWFinder metrics area of your template. Okay, let’s take stock of what we have so far. A list of keyword suggestions from two different tools. They are based on your seed keywords and on your competitors’ rankings. Question: Why didn’t we export any keyword metrics from SEMrush? Answer: Because keyword data is a mess! To be honest: Keyword data is a mess. We looked into the several tools and as a matter of fact, many tools source their data differently. And that means that they give you different metrics (e.g. search volume) for the same keywords. In our services, we make the best of it by standardizing the data via KWFinder (see step 5). That’s why we get the keyword suggestions – and only those – from other tools like SEMrush. Then we import them to KWFinder and extract the corresponding metrics from this single tool only. That means for you: One consolidated list with comparable metrics. Step 4: How to clean your keyword data? Good job! We know it’s a hassle to juggle all the different report files. But believe us when we say: It’s worth it in the end! At least you have all the keyword suggestions in one and the same list now. So it’s time to tackle the next problem: Exporting the outputs from several tools inevitably leads to keyword overlaps. Since we want one list with unique keyword suggestions, you now need to remove the duplicates. You already installed the necessary add-on in the first step. Highlight the entire table (without numbers but including headings). Click on “Add-ons” and go to Remove Duplicates > Find duplicates or uniques. Check if selected range is correct. Select the Keyword column to identify those duplicates. Opt to delete all rows within the selection. You will see how many duplicates you successfully removed. Step 5: How to standardize your keyword data? Okay, you managed to get a list of unique keyword suggestions. But the ones from SEMrush are still missing standardized metrics. Copy up to 700 keyword suggestions of SEMrush from the template. Go to the import tab of KWFinder, paste the keywords and select the country. Filter the results for a minimum search volume of 1. 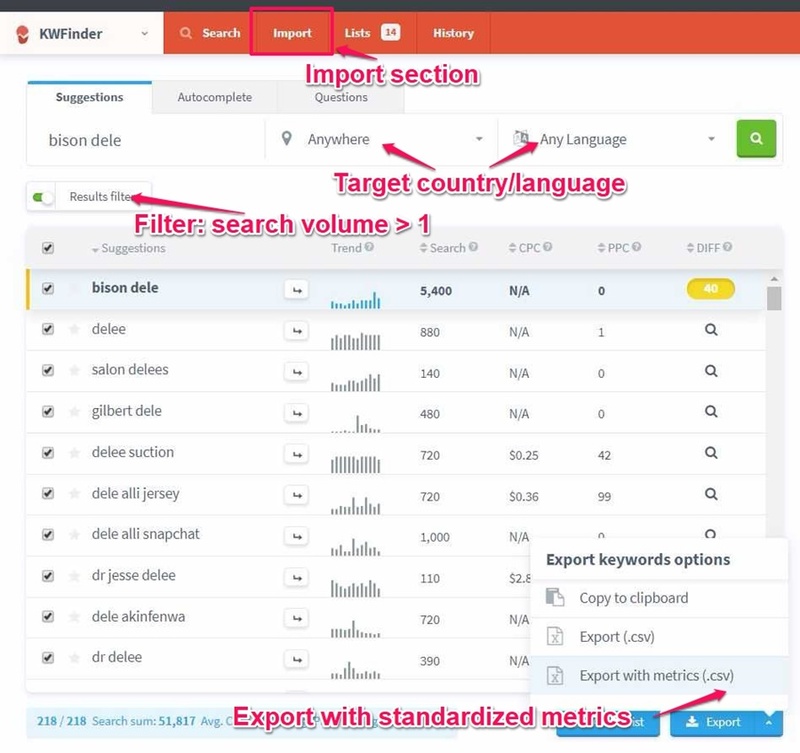 Export keywords with their metrics. Repeat the process until you have exported the data sheets for all keywords of SEMrush. Upload and open the files in Google Sheets. Copy and paste the keywords incl. metrics to your template. If possible: Delete all unnecessary rows at the bottom of the template. That’s it! You know how to do keyword research and your list is all-ready for interpretation. By the way: To give you all the information in one report, we can also import the info from our Keyword Ranking Report right into our keyword research template. Assuming that we did this report for you already. Once that’s done, you have all the info to choose the right target keywords. Remember: They are at the intersection of your and your competitors’ current rankings and your seed keyword. Okay, now you know how to do keyword research. The next big question is: How can you use it? With our Keyword Research Services, no matter if basic or advanced, we deliver you a handy PDF guide. It tells you exactly how to identify your perfect target keywords. Plus, it goes hand in hand with our template! It explains the different metrics and what they mean for your business. Why can’t we just tell you which keywords to focus on? First of all, because you know your business inside out and can spot the most relevant keywords. On top, we want you to actually understand how keyword research is done in a proper way. The best thing for you: You’ll actually get a lot of insights into the world of SEO that will help you to run your website more efficiently. Have a look at the guide’s cover page to get a grasp of all the topics that we will cover. Proceed if your business or the content that you’re capable of writing can give an answer. Check their search intent and volume to see if they are worth your time and effort. For commercial keywords promising a sale, a low volume is fine. If keywords are rather informational, volumes should be higher to make a conversion. Of course: That also highly depends on your business model! Do you have a blog and make money via AdSense? Then informational keywords might have a greater value for you. On top, it always helps to check Google Trends for seasonality. Be realistic and check the difficulty! You’ve found relevant keywords with adequate search volume. Next up: Are they worth your time? In essence, what are your chances to rank and is your domain strong enough? One way to get an answer: Check the keywords’ SEO difficulty and compare it to the one of your domain. You can also gauge your chances without the SEO difficulty value. To do it manually, type the keyword in Google and check the ranking competitors. Are they your size? Are you sure that you can produce better content? Then go for it! Take a look at your current rankings! You found a bunch of great keywords that you want to target with SEO optimized content? Great! But: Of course, only give it a go if you’re not already ranking in the top positions for this keyword. Is this the case but you want to improve your position anyway? In this case, when you are changing already existing content, you should rather be safe than sorry. This means: Analyze all current rankings of the respective URL. You have to be careful not to lose these rankings! So don’t just change your content without double-checking first. How to do that? With our Keyword Ranking Report for example! Read through our do-it-yourself post to get a full grasp of the issue. 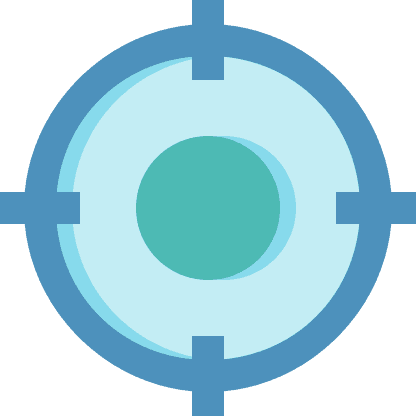 Choose your target keywords and group them! Now’s the time to ask yourself if you have covered all your bases. Did you check for relevance, volumes, intent, and difficulty? And what about your current rankings? All clear? Then you certainly found many potential target keywords! Our final step lays the foundations for your content strategy: Group your target keywords! You might already know that you can rank for many keywords with one single page or post! Google gets smarter and smarter and understands which keywords are related semantically. Gather them in their own groups! Or do you know your buying personas? Make a group for each and assign them to the keywords. These kinds of categorizations will help you to decide on pages/posts for your target keywords. But this goes far beyond the scope of how to do keyword research. We’re already working on our Content Marketing Plan service. Subscribe to our newsletter and be the first to know when it is released! If you follow through with all our recommendations, you will naturally understand what to do next: Take the keywords, translate them into a page/post structure and create optimized content for each. Do you have a bunch of content pages/posts that you want to SEO optimize? With our On-Page Keyword Optimization service, we’ll handle the job for you. This already includes a quick and easy keyword research. Or you buy it together with one of our Keyword Research Services (basic or advanced) and Keyword Ranking Report. This way you make sure that the keyword selection is based on an in-depth analysis of your (and your competitors’) current rankings. Keywords are the cornerstone of all your SEO efforts. We use the top tools in the market to give you a pool of keyword suggestions with useful and comparable metrics. 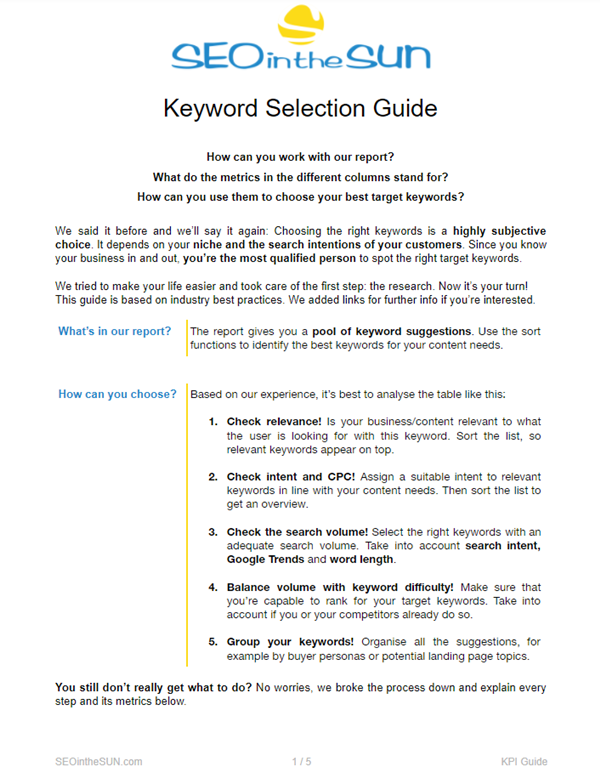 Our easy-to-navigate list and selection guide will help you to identify your perfect keywords. On top, we’ll spy on the keywords that your competitors are ranking for. What works for them, can work for you. 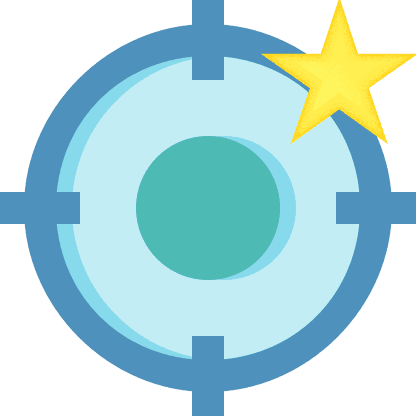 This detailed report tells you the keywords that you’re already ranking for – plus their difficulty level. You’ll know exactly which suggestions from your next keyword research you can target successfully. Yoast is the #1 SEO plugin for WordPress websites. But you can only use its full potential when it’s configured in the right way. Save some time and let us do that. We’ll set it up and make sure to choose the correct settings for your site.